“Icons” had to take a break in July due to another project of mine, but it’s coming back to close out the month of August as I look at one of the great folk heroes of all time and how he’s been portrayed on the silver screen. 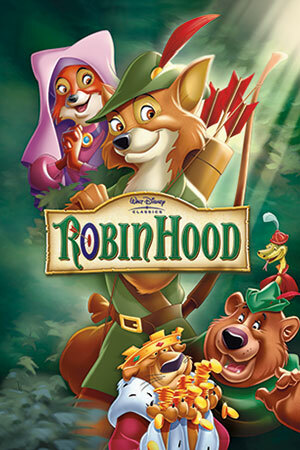 Yes, there are other Robin Hoods… many, many, many other Robin Hoods. Some of them even speak with an English accent. I created this list based on the versions that are the most memorable to me. If you disagree, you Russell Crowe fans, you’re welcome to do your own write-ups. Of course, before we can start, we need to know who our hero is, don’t we? When good King Richard left England to go on the Third Crusade, rule of his country was left in the hands of his corrupt brother, Prince John. As John proceeded to crush the populace with unjust rule and unfair taxes, a former nobleman escaped into the eaves of Sherwood Forest. 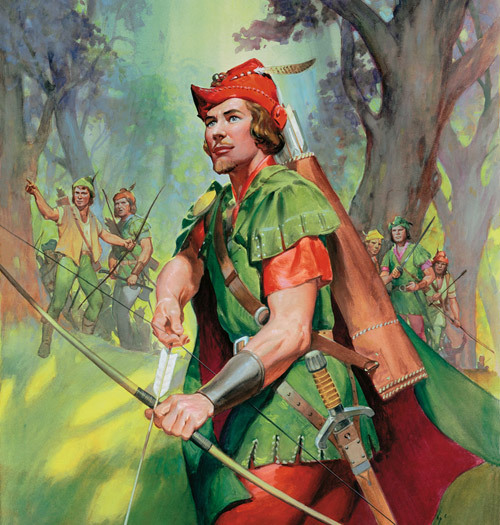 There, the outlaw who would become known as Robin Hood gathered a band of Merry Men to join him in his own Crusade — one against the Prince and his enforcer, the Sheriff of Nottingham, to preserve the England King Richard left behind. This, of course, is a bit of an aggregate of the character. 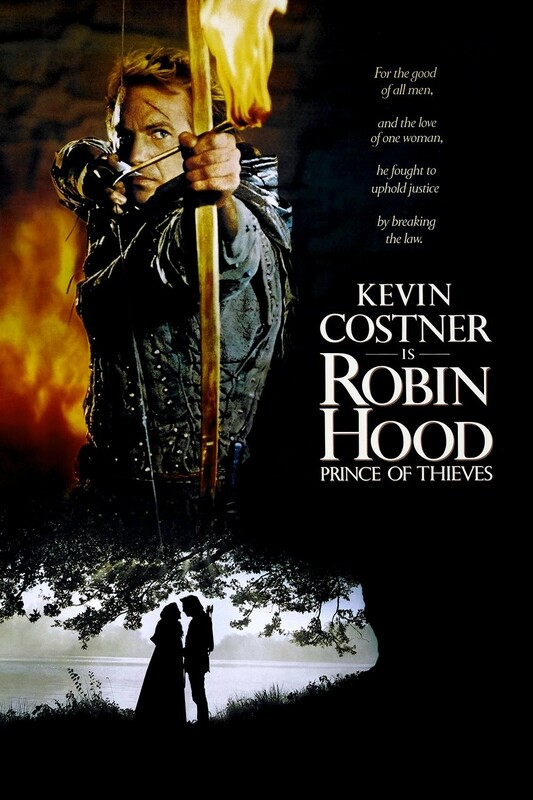 There have been stories of Robin Hood told throughout Europe for over 600 years, and as with many truly legendary characters, several of the versions have a tendency to contradict one another. But this baseline is how most people think of the hero today, and that seems as good a way as any to start. 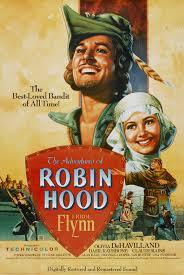 Come back Monday, friends, and we’ll start with one of the first truly great cinematic adventure films.